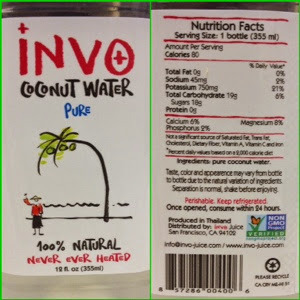 I was excited to see this brand of coconut water on sale at Whole Foods and Gelson's. I guess I should say the excitement came from seeing a brand of raw coconut water on sale. The cashier at Gelson's said it was her favorite brand because it was so raw and fresh. I like Harmless Harvest a lot a lot. Seriously, obsessed- like buy at least four bottles a week obsessed. It is an insane amount of plastic waste and it truly irks me but it might be an addiction. I wish all the brands would use glass bottles (maybe one day). Anyway, this brand was good. 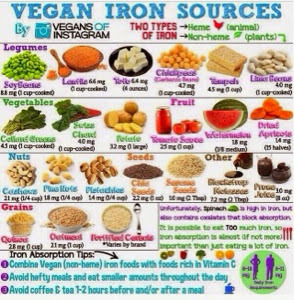 The bottles are small but its handy and does the job. 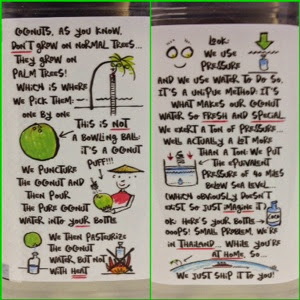 I feel like since it's raw coconut water, the taste isn't going to vary much from other brands and that is true but I still prefer Harmless Harvest. I am also a fan of the original/plain flavor. They come in a 3-pack and they are small snack sizes. 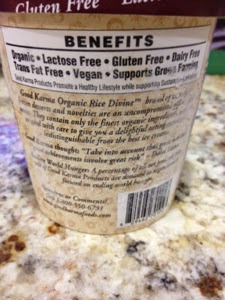 Good Karma Organic Rice Divine was my second introduction to vegan "non-dairy frozen desserts" (rice dream was my first as a kid that's all I wanted to eat). The peanut butter flavor was my favorite but it doesn't seem to exist anymore. 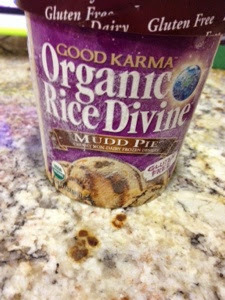 I ended up really liking the mudd pie flavor. It has chocolate cake (or crust i guess) that is gf and really good! It tastes like the gf/v Amy's chocolate cake. 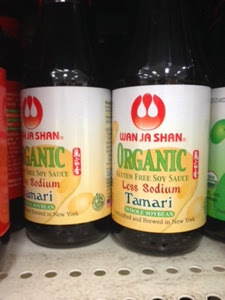 I have been eagerly awaiting GF soy sauce (Tamari) at 99 Ranch Market (it's an Asian market in the valley). They have an entire aisle of different types of soy sauce and up until last week none were gf. This brand is organic (YAY and very important since soy is one of the top 3 GMO products), low sodium, and about $3USD cheaper than the brand I get at Whole Foods. It doesn't taste the same but I will quickly get used to it. I found this in my freezer the other day and decided to give it a try. 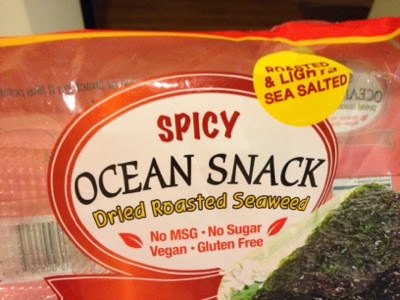 I really like Trader Joe's and they have a lot of great vegan and gluten-free products but my only complaint is that they don't have a lot of organic premade products. 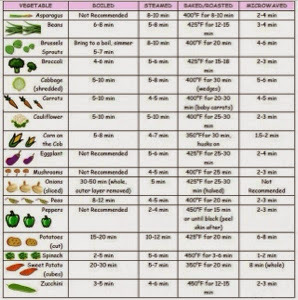 Zucchini (courgette) is one of the dirty dozen so this product would be perfect if it was organic. Other than that, they were pretty good. A bit mushy but I cooked them in a sauce. 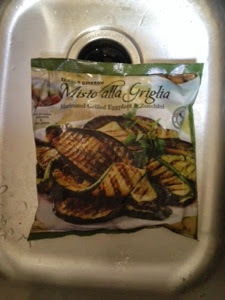 I still have quite a few slices of eggplant (aubergine) left so I defrost them in the oven- hopefully that will make them a bit sturdier.